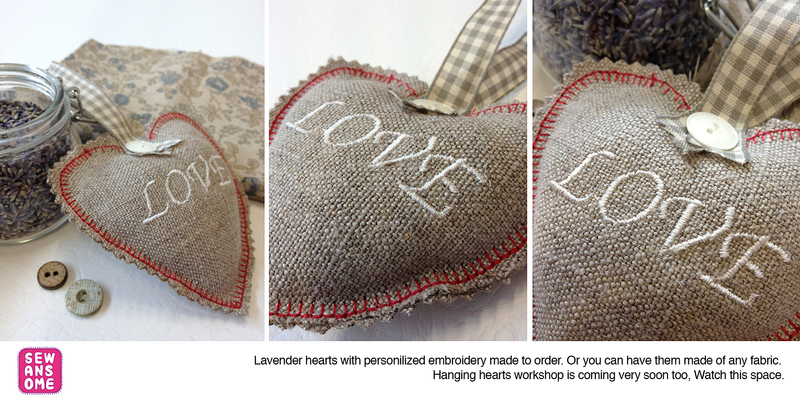 Now, offering bespoke, made to order personalized goodies, such as those lovely lavender hearts. Its made to order so I can make it of any size, with any lettering you want. Perfect Valentine present and makes the wardrobe smell lovely.Heart making workshop will be also available from next week.